The People of the Zulu Tribe are the largest ethnic group in South Africa and many of us have heard of their most powerful king, Shaka, who united the fractious tribes and created the Zulu nation in the early 1800’s. 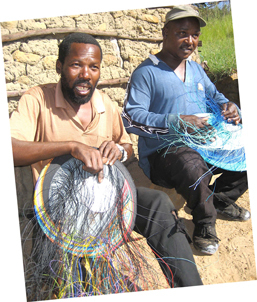 The Zulu people have long been associated with their skill and artistry in fashioning baskets from the native plants and grasses of their homeland as well as for their intricate and culturally important beadwork.The original idea to use recycled telephone wire for baskets reportedly came from security workers on the graveyard shift in South African factories. To while away the hours, they would often wind and weave brightlycolored bits of telephone wire around their nightsticks.Weaving of these baskets from the top down and over a form makes them even more unusual. Most baskets are woven from the bottom up. These inventive weavers start with a thick wire at the top rim of the basket and then work their way down, pulling each wire taut against a form to create the basket’s shape. 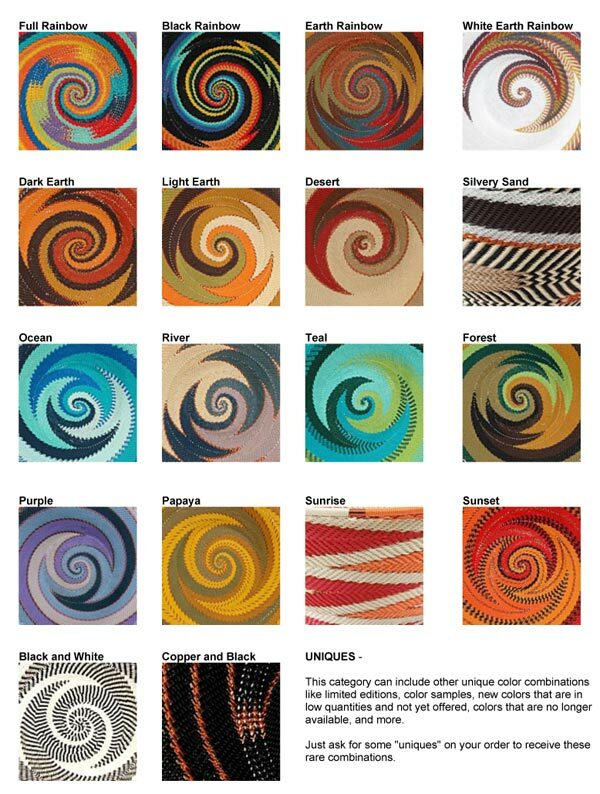 The group we work with has invented several new stitches that they weave with and are constantly evolving their styles. These unique baskets are especially functional and can be washed in warm, soapy water. Around 800 full time weavers and their families are supported with a fair living wage from their amazing creations. Since wire baskets are woven by many men due to the difficult nature of weaving wire, they are able to stay home on their tribal lands instead of moving to cities to look for work. In the rural groups we work with, the family units are preserved so that the weavers and their families can live more traditional lifestyles. About the Wire • Recycled wire is rarely used anymore because of it's scarcity and the fact that using recycled wire produces a basket of lesser quality. • Due to the very high price of copper, which is used in telephone wire, weavers are now using an annealed steel core wire that looks just like telephone wire. • The wire we use is custom manufactured in special colors for the weavers using some recycled and all lead-free materials. The wire is manufactured in South Africa.